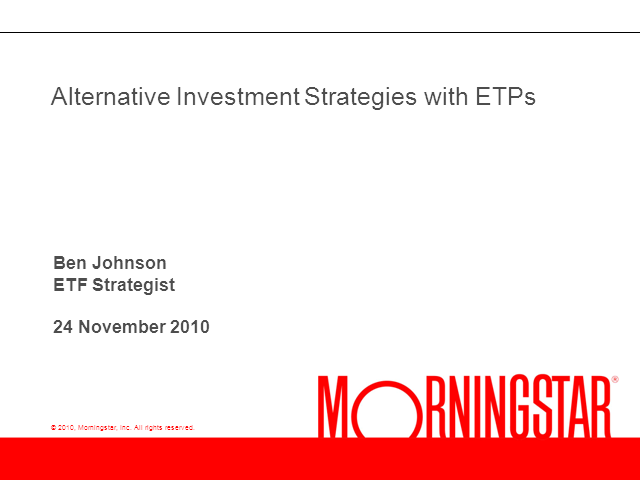 * Looking at major alternative investment strategies offered via ETFs besides commodities: real estate, currency strategies, hedge fund ETFs, etc. * What are the returns structures of these various alternatives compared to traditional asset classes? * What kind of diversification benefits and return potential do they have?